Asset-based community development (ABCD), or asset-based community-driven development as it is sometimes called, is a bottom-up way of working with communities that focuses on community strengths and assets rather than on deficits and problems. In another post I spoke about two communities. One was a ‘community in crisis’; the other was one with strong community relationships and bonds. Of course these two communities were the same community – it all depends on what we decide to focus on. If we ask people to look for deficits, they will usually find them, and their view of situations will be coloured by this. If we ask people to look for successes, they will usually find them, and their view of situations will be coloured by this (Kral, 1989). ABCD focuses on the half-full glass. 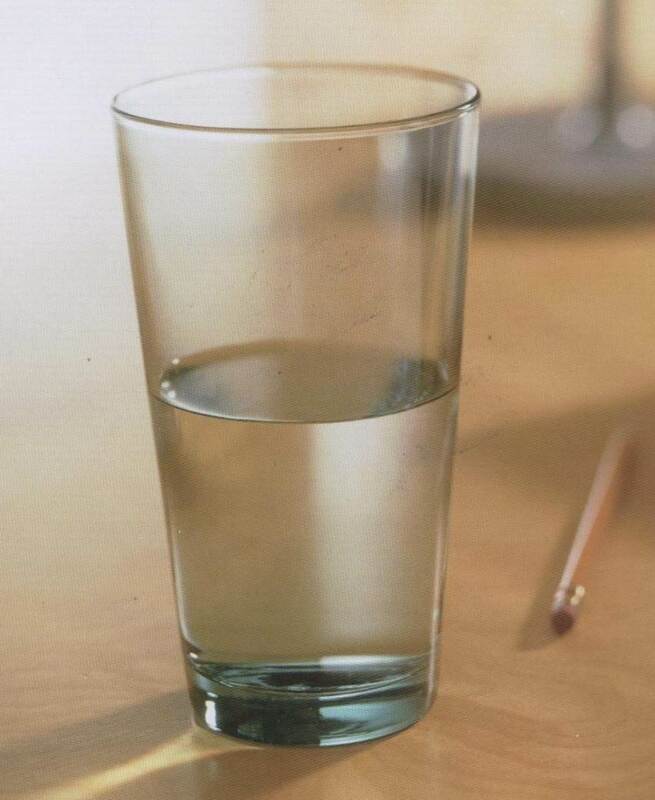 The half-empty glass represents the notion that communities are deficient and have many needs. The half-full glass represents the notion that communities (and the people who live there) have many strengths, capabilities and assets. It is the half-full glass that gives us something to work with. You might like to look at this 5 minute video by Wendy McCaig of a great example of ABCD in action. 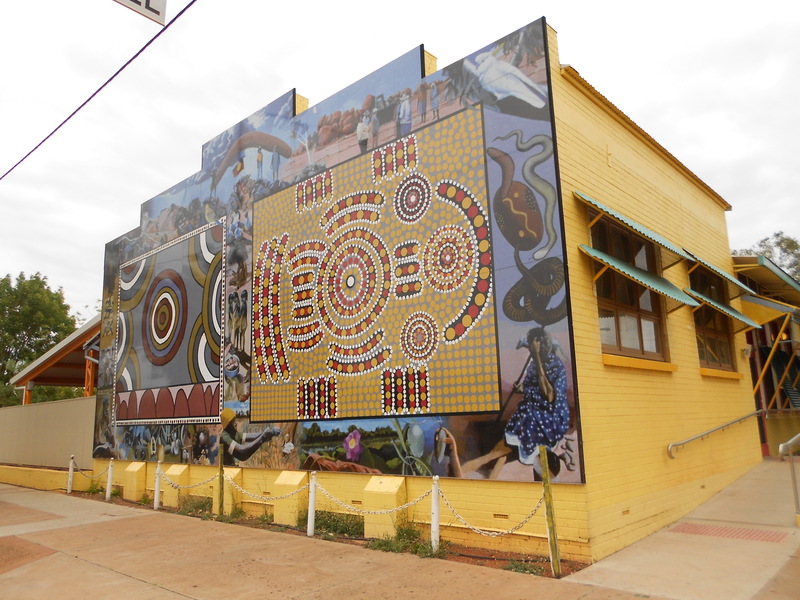 Many traditional approaches to community development start with a needs analysis or some other way of focusing on the community’s needs (Henry, 2013; Hipwell, 2009; Kretzmann & McKnight, 1993; Mathie & Cunningham, 2003; Peters, 2013). This gives us the half-empty glass. In creating a needs map we focus on the problems in a community, and can overlook many community strengths. When talking about individuals we might focus on how they are unemployed, drug users, apathetic or unskilled. Families are seen as being dysfunctional, abusive, or violent. Communities can be labelled as being toxic, disconnected or unsafe, with high levels of unemployment and isolation. So it isn’t surprising that, with all these problems, the control of funds and services go to external organisations. Jodi Kretzmann (2010, see also Kretzmann & McKnight, 1993) suggest some potential consequences of the needs map when communities are labelled as needy and deficient. People living in the community may begin to internalise this portrayal and see themselves as being deficient. It can be a vicious cycle because as a community is labelled as unsafe, toxic and deficient, residents stop turning to each other for support and can become scared of their own community. Relationships within the community thus start to deteriorate. As funding comes into the community, the funds often go to professional helpers and external services (often for narrowly defined programs) rather than to the community itself. In this context, the best way to obtain funding is to emphasise community problems and ‘how bad things are here’ (Kretzmann, 2010, p. 485). When I worked on caravan parks, we were more likely to get funding if we talked about unemployment, domestic violence and marginalisation, rather than the sense of community and informal social networks. (See ‘I try and make it feel more like a home’ – families living in caravan parks for two different ways of seeing caravan parks.) The irony is that if programs are unsuccessful in addressing the ‘problems’ within the community, more resources can be given to the services trying to “fix” things. As Jody Kretzmann (2010) suggests ‘All of this tends to feed a downward spiral, leading to residents who share a negative self-image and an experience of growing hopelessness’ (p. 485). But we can ask questions in two ways. What are the needs of your community? What needs to change in your community? What are the barriers to creating change? What are the strengths and assets of our community? When was a time you felt our community was at its best? What do you value most about our community? What is the essence of our community that makes it unique and strong? By focusing on the strengths and assets of a community, we can create a very different picture to the needs-based one. We start with what helps make the community strong. 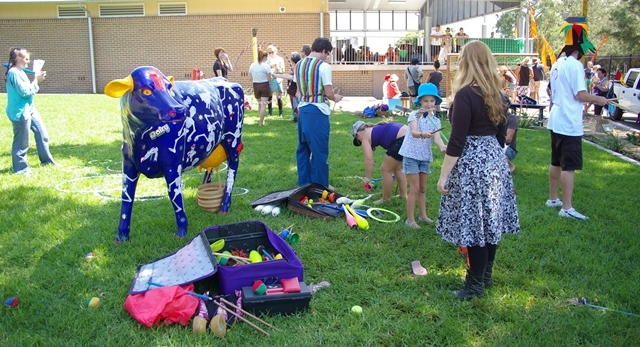 All communities have strengths and assets (Kretzmann, 2010; Kretzmann & McKnight, 1993; Mathie & Cunningham, 2003) and ABCD recognises the everyone in a community (including individuals, voluntary groups, businesses and organisations) has skills, interests and experience that can help strengthen their community (Central Coast Community Congress Working Party, 2003). So rather than starting with what is wrong with the community—the half-empty glass—we start with the half-full glass—what the community already has that helps strengthen the community. Like the ‘two’ communities mentioned above, how we see the community really shapes our response to it. There are at least six broad types of assets in communities (Kretzmann, 2010), many of which are likely to be missed if we focused purely on community needs. We recognise the skills and abilities of individuals within the community and find people who are passionate about the community and who are good at making connections. We identify voluntary community organisations and networks and what they offer (or could offer) to the community. (These are often called associations in literature from Northern America). We look at what institutions (e.g. non-government organisations, not for profits, government agencies, businesses) are already connected to the community. We pay particular attention to small, local institutions. We look at our physical environment (both natural and built) in a new way. We consider the local economy in a broad way so that we include the informal economy (e.g., people swapping goods and services, voluntary work) as well as the traditional economy (e.g. production, consumption). Some approaches to ABCD emphasise formal asset mapping (e.g., capacity inventories) as a process (Kretzmann, McKnight, & Green, 1997; Martin, Peters, & Corbett, 2012). If we adopt such an approach, it is important to remember that we aren’t creating a directory. The real value in asset mapping is bringing people together so they discover each other’s strengths and resources, and to think about how they can build on what is already in the community. One way we can do this is by fostering the relationships, or the place, where assets can be productive and powerful together. ABCD is usually called asset-based community development, but a few authors prefer asset-based community-driven development (Peter, 2013) or asset-based citizen-led development (Mathie, Cameron, & Gibson, 2017) to emphasise that ABCD is driven by the community—not external agencies. While professionals (or external catalysts) can play an important role, their focus should be on assisting communities to drive their own development. ABCD ‘emphasises that one leads best by stepping back’ (Bergdall, 2012, p. 3). External people cannot know these local assets as well as people from the community and thus ABCD relies on the community to “lead from the inside-out” (Kretzmann & McKnight, 1993). Because change is community driven, rather than being the “objects” of community development (Mathie, Cameron, & Gibson, 2017), community members become the drivers of change. Alison Mathie and Gord Cunningham (2002) suggest that this involves community members becoming active “citizens” rather than being “clients” receiving a service. Dan Duncan (2016) illustrates the changed roles for citizens (or community members) and professionals, in what he calls a geometry lesson, when community development is community-driven. 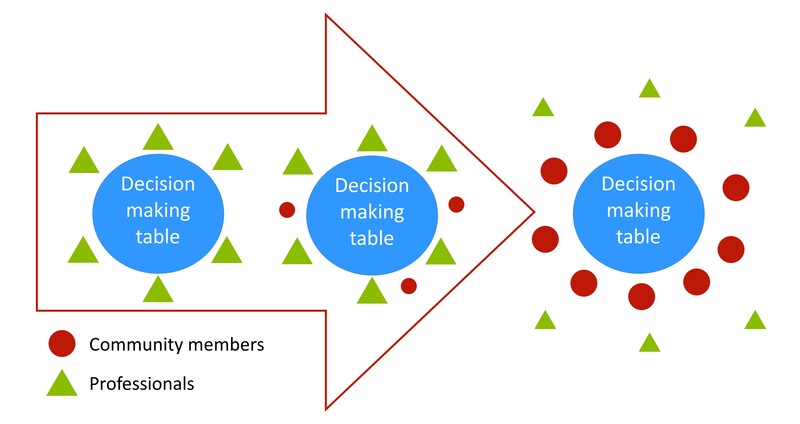 It is important to recognise that many decisions may not be made around a formal table, but will be made in more informal ways. The way in which ABCD can be community-driven is demonstrated in the video by Wendy McCaig. ABCD is also relationship driven. Not only are the relationships and social networks that exist within communities assets in their own right, but building relationships between ‘assets’ within the community is an important part of ABCD and asset mapping (Mathie & Cunningham, 2003). Mathie and Cunningham (2002) argue that ‘ABCD is a practical application of the concept of social capital’ (p. 9) because of the emphasis it places on informal networks and by drawing on their power to mobilise other community assets. Through building relationships, communities are able to gain access to resources, networks and energy that might otherwise remain hidden. In a comparison between asset-based and needs-based community development, Hanna Nel (2017) found that asset-based approaches tended to build relationships between community members, while deficit-based approaches tended to focus more on the relationship between the organisation and community members. She goes on to suggest that ABCD is based on “broad-based engagement, relationships and trust between community members” as well as “between the organisations that facilitated the development and the community” (p. 14). ABCD thus emphasises the importance of horizontal community engagement and not just vertical community engagement. In other words, ABCD encourages community members to strengthen relationships by interacting with each other, rather than being at the centre of the process. Because ABCD starts with the strengths and assets of communities, some people worry that it overlooks needs and problems. When using this approach, we don’t ignore community needs and concerns, but our focus is on the resources the community has to address them. Because ABCD is community driven, the priorities and needs of the community are addressed in an ongoing manner. One way to explore community priorities, without focusing on needs and problems, is to explore the community’s dreams and vision for the future. By being future oriented, we can explore what could change, but we do it in a positive way that provides a way forward. Asset-based community-driven development challenges many of the ways professionals work with communities and require us to think carefully about our role. We need to give up our role as an expert and start listening to the communities we work with, and belong to. It can be the start of an interesting adventure. If you are interested in reading more, I have created an extensive reading list on ABCD. If you find any problems with the blog, (e.g., broken links or typos) or if you have a different perspective, I’d love to hear about them. You can either add a comment below or contact me via the Contact page. Central Coast Community Congress Working Party. (2003). Building Your Community – how to get started – an asset based community development toolkit. Gosford: Central Coast Community Congress Working Party. Henry, H. (2013). Exploring an asset-based approach to nursing. Nursing Times, 109, 15-17. Ife, J. W. (2013). Community development in an uncertain world: Vision, analysis and practice. Cambridge: Cambridge University Press. Kral, R. (1989). Strategies that work: Techniques for solutions in the schools. Milwaukee, WI: Brieg Family Therapy Center. Kretzmann, J. P. (2010). Asset-based strategies for building resilient communities. In J. W. Reich, A. Zautra & J. S. Hall (Eds. ), Handbook of adult resilience. New York: Guilford Press. Mathie, A., Cameron, J., & Gibson, K. (2017). Asset-based and citizen-led development: Using a diffracted power lens to analyze the possibilities and challenges. Progress in Development Studies, 17(1), 1-13. Doi: 10.1177/1464993416674302. This entry was posted in Strengths-based approaches & ABCD, Working with communities and tagged ABCD, Community building, Definitions, For students, Strengths-based approaches & ABCD, What is, Working with communities. Bookmark the permalink. 44 Responses to What is asset-based community development (ABCD)? The SASA! methodology developed by Raising Voices in Uganda is a good example of community members coming together identifying their own resources to start facilitating community driven positive change. How I would start is nd bringing people from the community together and encourag them to talk about what they are passionate about, what they appreciate about their community and what they can offer the community. A good place to start might be gifts of the head, hand and heart (e.g. https://www.google.com.au/url?sa=t&source=web&rct=j&url=http://jeder.com.au/abcdasiapacific/2017/02/14/gifts-i-can-give-my-community). You might also get some ideas from the video at https://sustainingcommunity.wordpress.com/2017/08/02/an-example-of-abcd/. Yes, ABCD or ABCDD works on the capacities, strengths, and what is available with the people & community. Deficit way of working will always aims to fill the gap with welfare approaches. Now the need is to work for SUSTAINABILITY & QUALITY with the concept of INCLUSION or TOGETHER…ONE FOR ALL & ALL FOR ONE. The content of the paper is well placed and very much useful to move forward with flexibility matching to the dynamics of the given community.Congrats and all the best. I am mentoring NGOs working on various issues of the People and Communities. . There is a great deal of overlap. In ABCD, we start with the strengths and assets of a community. In some other approaches they start by identifying the needs and gaps. All the communities that I know / belong to are a complex mixture of strengths and weaknesses – assets and needs, if you like. So perhaps our focus should be on comprehensive community development that tries to work with both sides of the equation. As you point out, outside agencies tend to specialise in needs-based interventions, while communities often have a clearer sense of their present strengths and opportunities. Here in the UK, the real challenge seems to be combining these two perspectives – in my experience, lack of trust means that neither local communities nor outside bodies are normally very good at genuine partnership working. Thanks Ian for your thoughts. ABCD and other strengths-based approaches DO work with both sides of the equation. The big differences are where our focus is in supporting communities, the language we use and who has power. We do address needs by focusing on what communities and individuals already have (their strengths and assets) in order to create the change they want to see. Rather than using language that reinforces problems and needs, we use language that reinforces potential, change and strengths. There is a difference in speaking about the priorities of a community and the needs of a community. In the first they are in control and setting the agenda. The second can often suggest they need outside support to meet their needs. Often traditional approaches to community development, place the professionals in positions of power determining what the needs are and determining how to proceed. (I recognise this is always the case, but I do think it is all too common.) In ABCD and other strengths-based approaches the community is in control and the professionals act as a facilitator. All these things can help increase the trust between communities and professionals. It can be quite hard to change the expectations of people in terms of how they expect professionals to respond but, over time, as we build relationships and demonstrate we really are listening and being community led, trust can be built. This sounds very much like the core principles of time banking UK. Time banking focus on the assets of the community. Thanks for that Nick. I’ll have a look. Great work indeed Graeme, I support rural women empowerment through (ABCD) through bottom up approach. Your blog is very resourceful.Keep the spirit burning.You are our role model. I am an honours student in community development in Cape Town , South Africa and I find your articles very informative and crystal clear. I am currently working on a community project which is using this ABCD approach. This is good Graeme. Keep it up. We need to continue building our communities inside out for sustainability reasons. i loved your work and i request to get a chance for more training from you people.i have started a community based organisation for community development. I did a course in social mobilisation and development but i need more training so that i become expert and deliever the same service to my community members.for any chance of training conference.give me a chance.by Musisi Mike Uganda.+256757399780. expert and i deliever the same to my community. I’m afraid I don’t have the capacity to work overseas. I’m sure there are some experienced people in Uganda or in nearby countries. I have been involved in Community development for more than twenty years. The barrier I face in my work and community is the very low illiteracy rate which presented more challenges that requires critical thinking and creative ways of presenting models, as well and suggestions that allows communities to respond. The entry point for me is the experiences they face in their daily lives and use this as my entry points. I appreciate the tools you have developed and again I have the daunting task of translating this into the local languages and the lingua franca. I haven’t developed them, but I’m glad you found them useful. It could be worth contacting the Coady Institute to see if they have experience working in your region as they have worked in many place around the world. All the best with your work!! I stumbled onto your site when I was looking for more details on ABCD. Wonderful work! I used some of your questions and linked to your page in a recent page I wrote from Jane’s Walk. Have you heard of us before? I certainly recommend it as a method for community engagement. I hope to keep reading your site in the future – keep it up! Thanks Nico, I’ll have a look. Glad you liked it. Yes it is fine to provide a link to it from your newsletter. Well done. It is good to see people in higher education who understand the benefits of using capacity-based approaches to community engagement. Some colleagues and I are currently writing a book on ABCD and community engagement in higher ed. It should be out in a few months. Thanks for that. Please make sure you let me know when it is published.